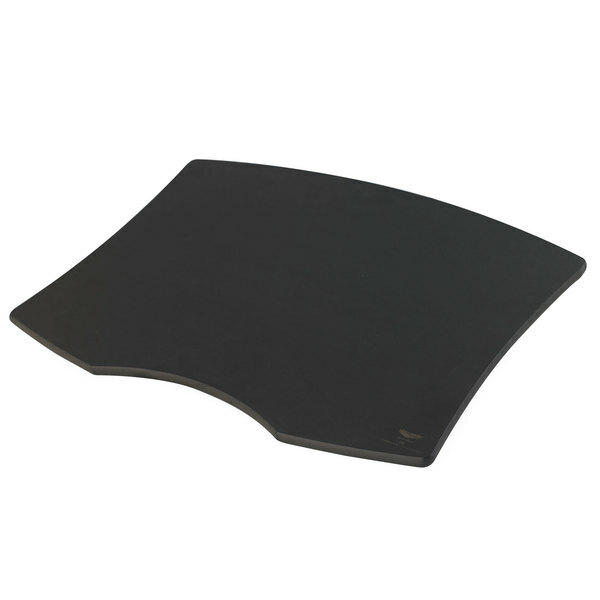 Maintain your carving station's immaculate appearance by replacing the cutting board with this Vollrath 25154 contoured cutting board. Designed specifically for the Vollrath 46670 contoured carving station (sold separately), this cutting board is a perfect fit! Made of natural fiber composite phenolic wood fibre, this elegant piece creates a pristine display for your catering business, hotel, or restaurant's buffet line. Use this knife-safe cutting board for carving savory meats or showcasing any hot plate holdings. Featuring a half-circle cut out on the bottom, this space enables you to slide trimmings and liquids into the station's removable drip pan. The board also rests in the recessed base with a slight gap around the exterior, providing room for liquids to run off into the grooves and towards the drip pan. Easily remove this board from the carving station and place it in the dishwasher for optimal cleaning. Select this cutting board as a replacement for your damaged or lost board or keep a few extras on hand to ensure a quality carving station presentation throughout your event!